Saudi Arabia To Buy Georgian Armored Vehicle? A Georgian armored vehicle is a finalist in a tender for the Saudi Arabian military, potentially marking a big step forward for Georgia's young arms industry. Aside from the Georgian vehicle, three American and one Saudi Arabian and one United Arab Emirates vehicles “were hammered” in the Arab desert. In the trial’s first stage, four participants – among them, the famous American OshKosh – gave up fighting, and only the Georgian and American armored vehicles remained for a face-off. The trials are fairly complicated – in high-temperature conditions, it was necessary not only to cross the desert at high speed, but a mountainous track, too. 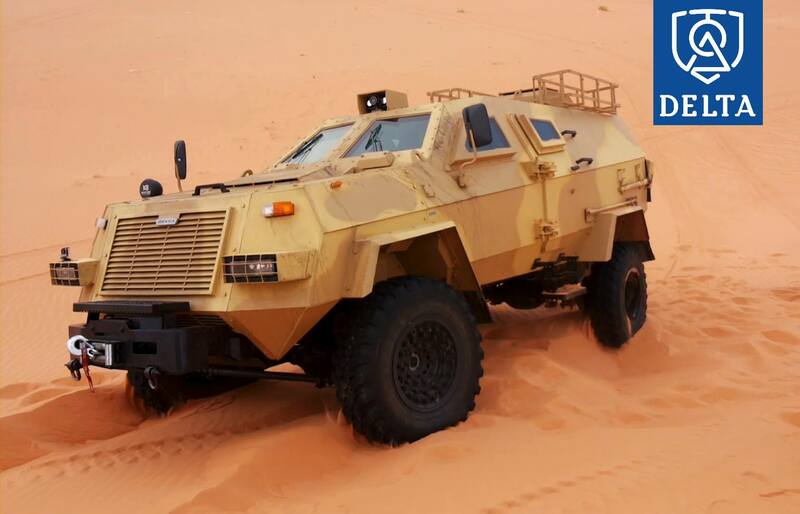 Delta’s Rapid Armored Vehicle crossed the 300 kilometers with an average speed of 120 kilometers per hour. The final stage will involve ballistic testing, and Delta officials said that they are confident in their vehicle's abilities, as well as its price, which is lower than that of the American. A final decision is supposed to be made by the end of October. Among the skeptics of Georgia's arms industry was the man who dethroned Saakashvili, Bidzina Ivanishvili. But after taking power in 2012, Ivanishvili's Georgian Dream coalition maintained its support for the industry. And there seems to be an emphasis on selling to the Middle East and Africa. "Delta started building the international network of sales a year ago, within the framework of which it mainly cooperates with the representatives of 22 countries in Africa and the Middle East," Otar Chiteishvili, the head of Delta's foreign trade department, told the website AzerNews. He said Delta is in negotiations with "several other countries" including Egypt, which is looking for armored patrol vehicles. Below is Delta's video of its trial in the desert, which you should watch if for no other reason than to see the music the company chose.